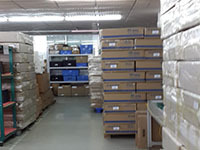 Shanghai Anxin Intelligent Technology Co.,Ltd is a specialized industrial computer manufacturer certified ISO9001:2008, established in 2002 year. 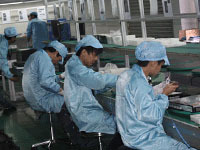 Provide various industrial computer, Panel PC, Touch screen monitor, Embedded PC, Ruggedized computer and Network appliance. Nowaday, Anxin primarily focus on developing and innovating the Industries of Industrial 4.0 and IoT Intelligence, help our customers and partners reduce development efforts and costs. Also fulfill the demand for more industrial4.0 automation and IoT solutions. 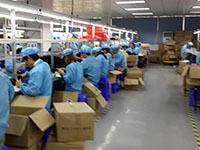 Anxin provides ODM /OEM production. your are assured of designs that will meet your exact specifications. Our innovative ideas in manufacturing that will make your products a leading seller on the market. This results in short period of development time for projects. Anxin has qualified working team that includes senior level mechanical and electronic R&D engineers, Project/OEM Production/Sales manager, and an efficient logistics department. We trains all teams and staff based on ISO 9001. Now, Anxin's marjor products are widely used in the crucial fields, such as military, telecom, mining, industrial automation, energy, traffic, aviation, health care, network, material, AI (artificial intelligence), security, vehicle, banking, entertainment etc. The high quality product and short-delivery are adopted extensively and praised by our customers. Primery Buisness: Industrial automation, industry 4.0 and IoT intellgence. Industrial LCD monitor and touch screen monitor: 8"-19"LCD, With VGA ,touch screen and rugged panel, for HMI, and industrial automation. Industrial Panel PC, touch screen computer and fanless panel PC : 8"-19" LCD, With touch screen, wifi optional, for HMI and industrial automation. Mini itx pc, mini itx case, embedded PC, fanless PC: With rich I/O and for many industrial applications, various kinds of embedded computers for your choice. All in one computer Workstation series: 4U with 8", 8U with 15", 8U with 17"
Industrial PC Chassis, rack-mount PC: Comprised of 19" 1U, 2U and 4U standardized cases and embedded non-racked industrial enclosures. 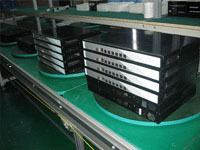 Rack mount network appliance, x86 network appliance: 1U, 2U and desktop network appliance for IoT intelligence and network application. Industrial Embedded Motherboard and single board computer(SBC). The non-standardized size motherboard are specially designed for the applications such as IPC, IoT and network etc.